Whether it’s “Sweet Caroline” blasting during the seventh inning stretch at Fenway Park, Mike McCready ripping the national anthem at T-Mobile Park (Safeco Field! ), or Mariano Rivera entering the game by way of Metallica’s “Enter Sandman”, music has always been an integral part of baseball. If one of them is the grandstand hot dog, the other is the cold beer. 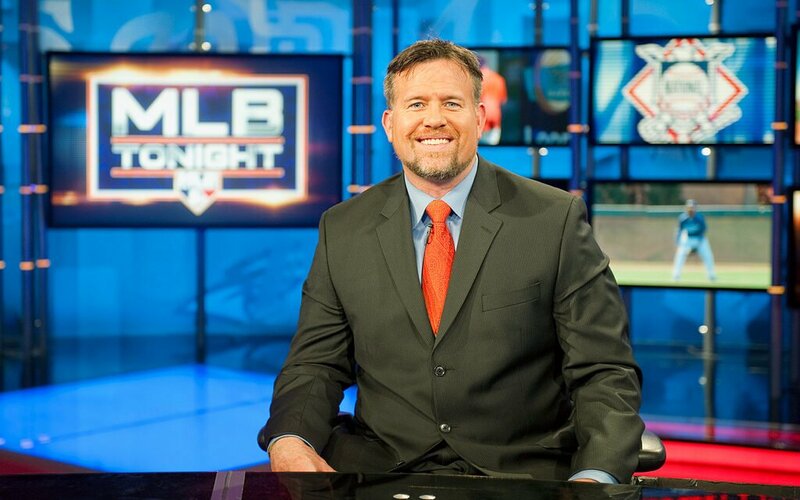 Sean Casey was three-time all-star first baseman during his twelve Major League seasons with the Cleveland Indians, Cincinnati Reds, Pittsburgh Pirates, Detroit Tigers and Boston Red Sox. Though his environment may have changed, two things remained constant – Casey’s love of the game and love for music. He credits the companion of Rock n’ Roll as being a constant driving force behind his baseball development growing up in Pittsburgh, to college ball at the University of Richmond, to the batter’s box in the big leagues. Now at MLB Network, “The Mayor” continues to integrate music into his routine as an analyst and as a game-changer with his incredible Miracle League Foundation. To celebrate opening day, we are thrilled to have Casey as our next guest on “How Music Has Inspired My Life and Career”. What was your introduction to music growing up? I lived in New Jersey until I was six-years-old and my Mom had a blue Torino. I would sit in the front seat and we would listen to what would now be considered soft 70’s rock. I still love that music because it always reminds me of moments in the car with my Mom. From a very young age, I would always listen to The Who while cutting the grass. In seventh grade I went to my first concert – it was Boston at the Civic Arena in Pittsburgh. Man, it was awesome. As I got older, I got heavily into AC/DC and Led Zeppelin. 102.5 WDVE in Pitt, would get the Led out every hour with Zeppelin, and they’d play The Rolling Stones, Bob Seger and Tom Petty quite often. I also remember being in the 12-year-old travel baseball league, and we would ride to games in my coach’s van. He would crank Steve Winwood’s “Back in the High Life Again” and Lionel Richie’s “Dancing on the Ceiling”. A lot of music for me is connected back to baseball. But three records that really stick out to me are from when I was in high school. They are AC/DC’s Back in Black, Pearl Jam’s Ten and The Black Crows Shake Your Money Maker. I’d constantly hit to those records – either in my garage, or when I got to the University of Richmond, in the cage. I couldn’t wait to get to the battling cages just so I could listen to music. It was a huge part of my baseball life even from early on. It kept me swinging – I’d listen to the entire Ten album while taking batting practice. When I hear those songs now, it still brings me back to those moments. At what point did you discover that music was a necessity and crucial part of your development as a baseball player? Looking back, during the 19886 College World Series, ESPN played the 38 Special song “Like No Other Night” with a video to go along with the series highlights. I wanted to play college ball so badly after watching that with the lyrics, “This night could be like no other night” as the backtrack. Then, I remember listening to the Thunderstruck album in high school and the song “Fire Your Guns” became my anthem for lifting weights and going to practice. It’s funny because I’d also have songs that were not baseball music that I’d listen to in my room, like – “Mama, I’m Coming Home” by Ozzy Osbourne. One thing about music is that it always keeps you inspired. There’s something about it that creates an energy in your spirit that wants you to push forward and go to that next level. That’s what it would do for me in baseball – it inspired me to be better. Even the Rocky soundtrack, I’d listen to “No Easy Way Out” doing things that I didn’t like to do, like leg squats, and it would help me push through.So, music and baseball have always gone hand-in-hand for me. I hit with my son just last night and we put together a playlist to accompany our routine. On the playlist we had John Mellencamp, Bruce Springsteen, Pearl Jam, The Who and The Band. It brought me back because the first thing he did before grabbing the bat was turn the tunes on. I took my oldest son to see Tom Petty a few years ago, shortly before Petty passed away. It was his first concert and I had never seen him live either. A few months later, I took my younger son to his first show, which was Bob Seger. I feel like I’m getting somewhere with parenting getting to take my kids to these shows. Do you associate any specific baseball memories with a particular song? Maybe a certain clubhouse song or a long bus ride? Yes, for sure. My favorite is from the 2004 Cincinnati Reds, it was such a fun team. After every win when we came back to the clubhouse we would sing “Beer for My Horses” by Toby Keith. At one point, I handed out the lyrics to everyone and we’d all raise up a beer after every win. Still, every time I hear that song I think about those moments. Some teammates from that team will text me to this day about it. The 1999 team was also quite special. Mike Cameron used to work the radio. DMX was big then, and now, I always think of Cam and that ’99 team when I hear DMX. 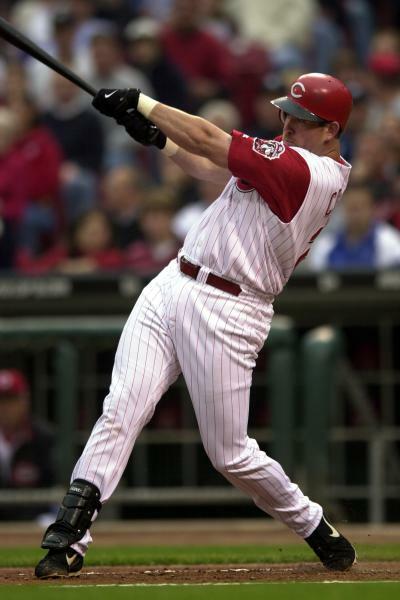 The 2002 Reds – with Aaron Boone, Todd Walker Adam Dunn, and Austin Kearns, we were all big Poison fans. We went and saw the band in concert twice that year. So, still, when I hear any Poison song I think of those guys. During the 2005 season, a teammate of mine named Kent Mercker (he was a lefty pitcher) would play music at the back of the plane during every flight. Some of my favorite baseball memories were having a few beers, listening to music at the back of plane and hanging out with my teammates. That year, every flight we took we’d listen to “Tom Sawyer” by Rush as the flight was taking off. Mercker would play Neil Peart’s the drum solo. Prior to MLB, we won the championship when I was in high school. I would take a leak before every single at-bat in my career. In high school, it had to be in a porta-potty, there was no clubhouse. I’m coming out of the porta-potty during the championship game and “Life is a Highway” by Tom Cochrane was cranking. I always associate that song with that game – it was one of the greatest days of life. In college, we listened to two songs everyday for three years. They were “Cheeseburger in Paradise” by Jimmy Buffet and “Mr. Jones” by The Counting Crows. You mentioned the clubhouse. I’ve always assumed that turning on the music was one of the first things players do upon getting there – like it’s an essential part of the camaraderie. The clubhouse is a huge music space. When you’re in a big-league clubhouse, you appreciate being there so much because you know the road it took just to step foot in there. Sometimes, there’s a fine line with music in the clubhouse because there are so many genres you can play to people’s liking. Some of the best times before or after a game come from the music that’s played in the clubhouse. I think any ballplayer can attest to that and recall the music the team had in those spaces. I’m always fascinated by what songs a player has as their walk-up song. What was your process in picking what you’d step to the plate to? I often came out to “Even Flow” by Pearl Jam. It brought me back to the years of hard work I put in to get to that point. The Ten album was so influential to me when it came to my mind and my heart for baseball. It gave me a certain feeling to focus on what I had to do and provided an adrenaline rush. The walk-up songs for me, were a trigger to really get locked in. “Even Flow” was the song I chose the most, but I also had “Vertigo” by U2 on occasion because I liked the “Hello, hello” beat to it. Do you have a favorite concert? Pearl Jam – Oklahoma City, 2013. I traveled down to the Dallas and OKC show on this tour. I was fortunate enough to sit side-stage in the guitar pit. It was phenomenal to be right there, and the energy was unreal. If you had to pick your five favorite artists who would they be? 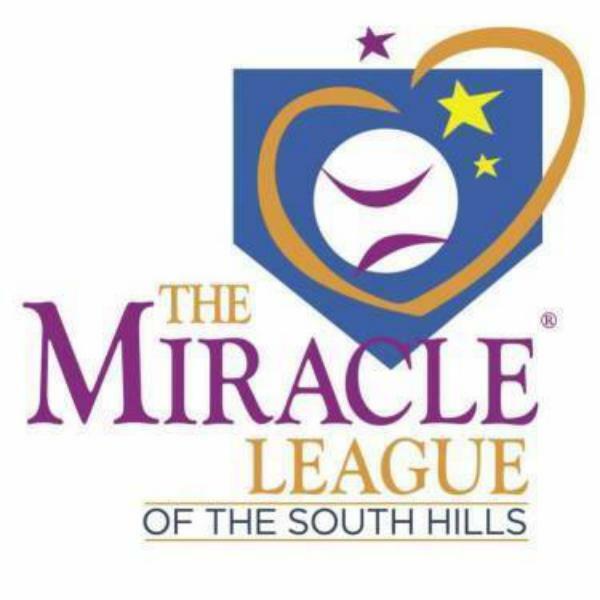 Lastly, this is not music related, but what you are doing with your Miracle League is amazing and so inspiring. What does it mean to you? It’s been such a wonderful thing. 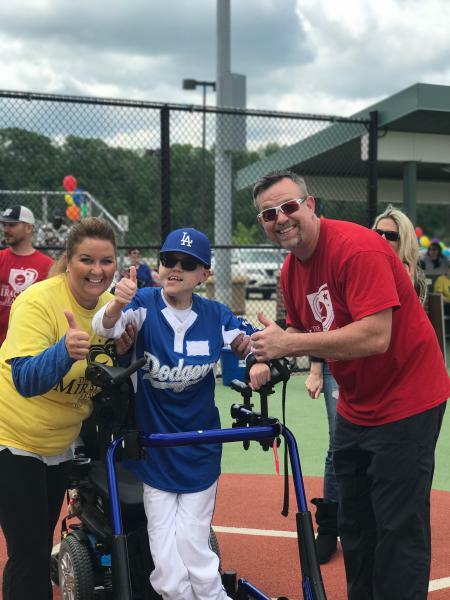 After I retired from baseball, my wife and I decided to build the first Miracle League field and an all-inclusive playground. We now have over 350 kids with a variety of special needs. They are all special players. I worked for a school with kids that had cerebral palsy when I was a teenager and that was the first experience that really opened my eyes to the special needs community. I can barely put to words the joy the Miracle League has brought to me and our community. Every kid has a buddy volunteer that is with them on the days of the games, so, the experience impacts many. The parents get a chance for one hour a week, to sit and watch their kid play like anyone else, with a uniform on, and on a ballfield. When I was raising the funds for this, I said, those that give to this cause will be able to come out on gameday to see where their money went and experience the joy of how special it is.